Freddy's Happy, originally uploaded by Rob Lee. Today's photo of the week (And the first photo of the week ever) is a picture of Freddy the Fox, taken by Rob Lee. I love that smile! 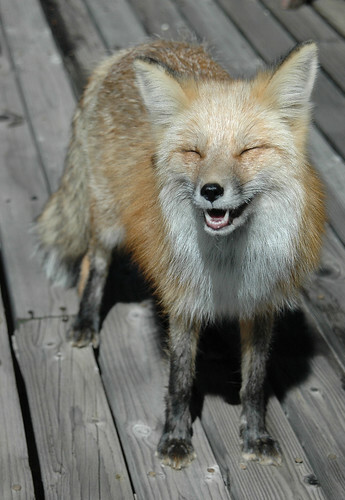 If you've taken a fox picture that you'd like to submit as a Photo of the Week, just send it to Admin@thepetfox.net. Please only send in photos that you've taken yourself, and include enough information so that I can give credit. Great pic! He looks so happy.